Who is the Next? 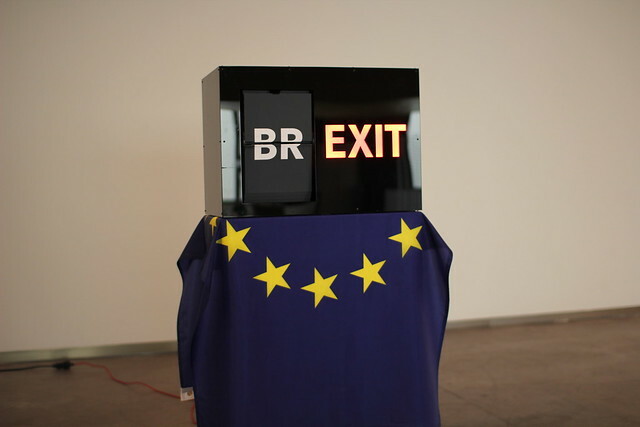 is about the exit of the United Kingdom from the European Union, well-known as Brexit. 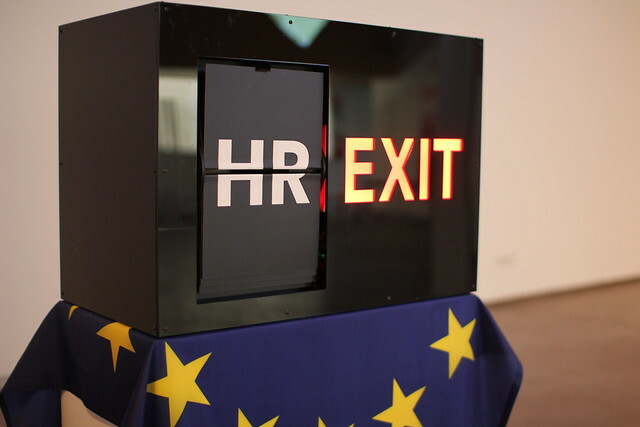 A device randomly shows the two-letter codes (ISO 3166-1 alfa-2) of the EU countries next to a luminous sign displaying the word “EXIT”. This way, it speculates about which nation could be the next one to leave the European Union (or to be expelled from it), which is shown as something completely accidental. The codes of the member countries follow one another on a panel whose moveable parts clatter as the information panels at international airports used to do in the old times. Each time these parts stop, a new border emerges in our imagination, changing the lives of millions of citizens (text by Pau Waelder). Materials: Lasercut plexiglas, aluminium profiles, red LED strip, electronics, motor, 3D printed parts, print on paper (61x43x33cm). In this project had collaborate the production team from Varvara & Mar studio: Jesús Rodríguez Santos and the interns from ARGO program: Kico Robles Garrido.